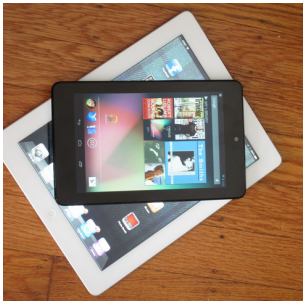 Recently Google launched Google Nexus 7 to take on iPad. The only reason why Google Nexus is appealing to users is its lot more cheaper that Apple iPad. Apple dominated tablet PC world with 66% market share. Apple is planning to introduce a smaller, cheaper iPad by year-end to help maintain its dominance of the tablet market. Apple plans to introduce this new cheap iPad somewhere around October 2012. The newer model of iPad will focus mainly on reduction in cost and will have a screen that is 7 to 8" diagonally, similar to Nexus 7. Also the cheaper iPad will not have the high-definition (HD) screen featured on the iPad that was released in March. A smaller, less expensive iPad could badly affects the ambitions of Google, Microsoft and Amazon.com to gain momentum in the advancing tablet market. The new cheap iPad will be priced closer to Google's Nexus 7 tablet and Amazon's Kindle Fire, both of which have 7-inch screens and cost $199. Google and Amazon's tablet stratigies will be badly affected if this tablet really gets launched as both are banking on cheap price for their tablets to gain momentum.